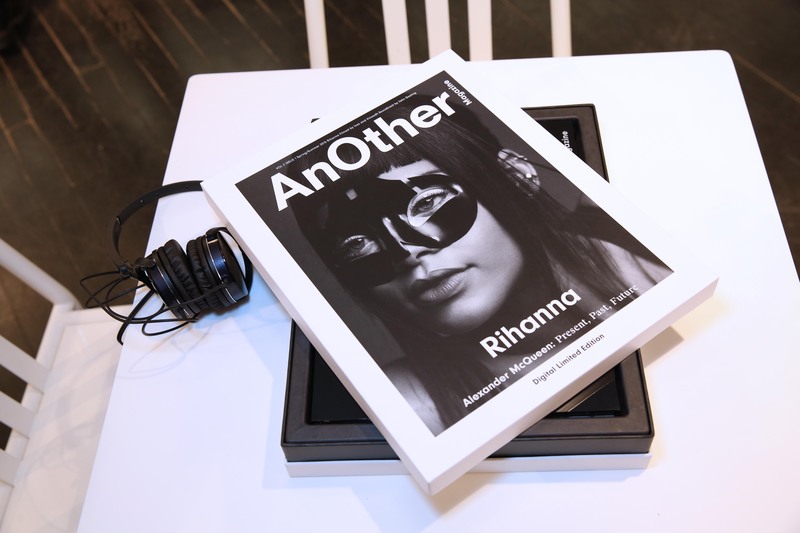 The cover features an HD display video of Rihanna performing in Alexander McQueen, styled by Katy England, and filmed by Inez and Vinoodh. The video is accompanied by “The Sound of McQueen”, an album created by John Gosling, who has been creating music for Alexander McQueen since the ’90s. Headphones can be plugged into the cover for the audio visual experience. This morning in Paris, Hack held an event at Colette to celebrate the debut of the magazine, which brought out fashion VIPs like Suzy Menkes, Vanessa Friedman, Alexandre de Betak, Sofia Sanchez Barrenechea, and Vogue‘s Mark Holgate and Virginia Smith, to name a few. The 440-page magazine will be limited to 1,000 copies. Starting today, it will be sold on Colette, Selfridges, and Yoox.com.